The plate of Copernicus was made from a negative provided by the Paris Observatory, taken September 29, 1896. It was enlarged to a scale of over 13 feet to the moon's diameter. The positive was then printed by collotype, which gives the finest grain of any photographic printing process. The grain of the original negative, however, is noticeable. 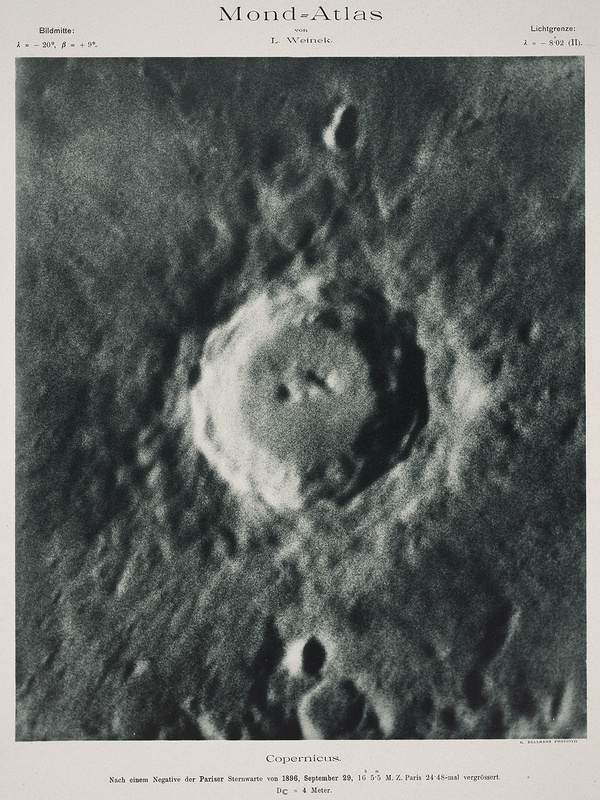 A quite different view of Copernicus can be seen in the photograph taken by Apollo 17 (see item 45).